Fall is here, and the reading is plentiful. Your busy summer has come to an end, and it's time to unwind with a good book. 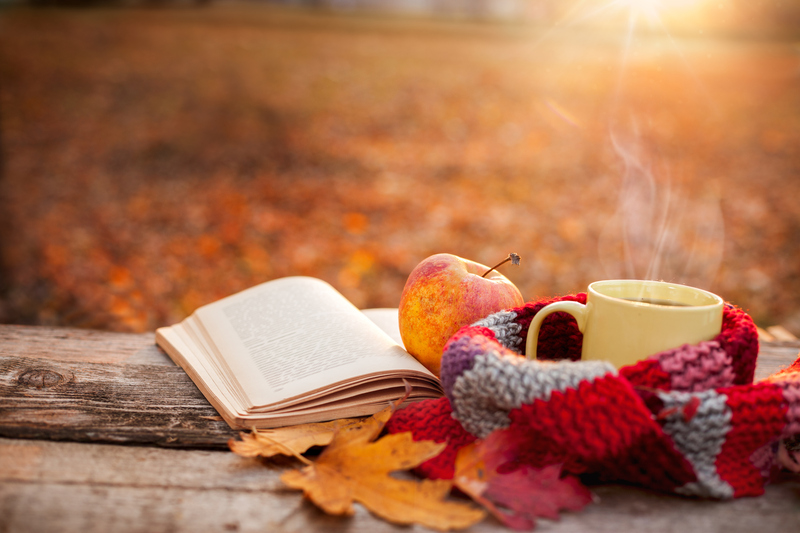 Whether you are relaxing on the porch taking in the beautiful fall air, or snuggled up inside with a cup of tea and a free afternoon stretched ahead of you, we have got a book for you. Library staff from our various branches have hand-picked a few favourites for you to enjoy this fall. Fall in! Comedian Trevor Noah’s memoir of growing up in apartheid South Africa is equal parts touching, hilarious, and heartbreaking. He cleverly weaves humorous childhood stories with an in-depth exploration of the impact of racial segregation on both individuals and a country as a whole, resulting in a cross-genre collection of essays. Trevor’s stories about the strengths of ordinary individuals when their whole country is against them is a powerful testament to the resilience and strength of the human spirit. This book will entertain and inspire you – a great combo for a fall read. Recommended by L.P., Keshen Goodman. Didn’t get to travel this summer? That’s okay! Grab a copy of Crazy Rich Asians and you will find yourself transported to summer in Singapore, dining with the richest family on the island, riding in private airplanes to private resorts, and snuggled up to one of Asia’s most eligible (and coveted) bachelors. And that’s not even the best part! Along the way on this crazy adventure you will be privy to the gossip, scheming and long-time rivalry between China’s old money and new money families, leaving you laughing and shaking your head in amazement. Recommended by E.M., Collection Management. Fall is a great time to read some Young Adult Fiction (really, when isn’t a great time to read YA). Pick up Eleanor & Park and get ready for a wild flashback to the 90s. This book has awkward emo moments, mixed with very intense themes of domestic violence, body image, discrimination, and poverty. It may not be your typical love story, but it will leave you wanting to make a mixed tape for your crush. Recommended by A.J., Woodlawn. The year is 1899 and New York City is home to new immigrants Chava and Ahmed. But they are not your average New Yorkers. Chava is a golem, a woman once made of clay and brought to life by a Polish Rabbi; and Ahmed is a jinni, a being of fire born in the ancient Syrian Desert and newly released from the copper flask in which he was kept. The 2 become unlikely soulmates who struggle with the meaning of power and freedom. Blending historical fiction, Jewish folklore and Arabian mythology, this story is full of quirky characters that are sure to delight fans of historical fiction or fantasy. Recommended by E.D., Tantallon & J.D. Shatford. 16-year-old Starr has just watched her friend, an unarmed black boy, be shot and killed by a police officer. The only witness to the shooting, the book follows Starr as she deals with the aftermath of the crime and struggles to find her voice in everything that has happened. The Hate U Give is an honest and powerful story that is extremely relevant in today’s society. If you are looking for a complex and thought provoking book that draws you in from the very beginning, your search is over. Recommended by R.C., Cole Harbour. Jaime is a Halifax based poet whose second collection reads like part mystery, part tabloid, and part holding a seashell to your ear listening to its secrets. This collection shares the everyday minutiae of being human in such a specific way that it becomes universal. The poems all have a lyrical drawl that is reminiscent of long, hazy, hot Halifax summer days and how we make our way through them. A perfect pick when you’re yearning for the days of summer. Recommended by J.C., Halifax North. On a field trip with his class, Elliot discovers that he can see a wall that no one else can see, leading to an opportunity to attend a magical school in the Borderlands. Here he navigates sexuality, love and shifting relationships, all the while undergoing rigorous training to protect the invisible wall between Borderlands and the human world from the threat of war. Full of deadpan humour, shocking twists, and clever political machinations, this young adult fantasy novel will leave you wanting more. Recommended by A.N., Eastern Shore and Musquodoboit Valley. In 1892, adventurous Abagail Rook leaves her life and parents in Europe and heads to New England. She soon finds herself working for enigmatic investigator R.F Jackaby. But Jackaby is not your average investigator – his specialty is the paranormal (if Dr. Who and Sherlock Holmes had a baby it would be R.F Jackaby). The unlikely pair soon find themselves on the trail of a serial killer, one who Jackaby is convinced is not human. If you are looking for an adventure without having to leave the comfort of your home, this book has your name on it. Recommended by K.G., Dartmouth North. During a mid-summer party at a grand estate in 1930s Cornwall, England, a mysterious tragedy occurs. It is never resolved, leaving more questions than answers. Fast forward 70 years and the events and secrets of that summer night are being unearthed by scrappy police detective, Sadie. This book has all the ingredients of a great fall read—with an intriguing family mystery, true to life characters, lush descriptive settings, and a little forbidden romance thrown in there too! Recommended by A.M., Halifax Central. "Don't nobody believe nothing these days which is why I haven't told nobody the story I'm about to tell you." So begins Jason Reynolds' acclaimed and powerful novel about a fifteen-year-old boy determined to right a wrong against his family. Set in an elevator and spanning only a minute and seven seconds (the time it takes for the elevator to descend), Long Way Down tackles the subject of gun violence in such a unique way. This book is written in verse and the chosen style adds to the impact of the story. You will be left wanting to discuss this novel with anyone who will listen. Recommended by L.M., Bedford. Due to a genetic mutation, women all over the world now possess immense physical strength. This newly awakened power to control and manipulate electrical currents causes an upheaval across the world as women fight back against their oppressors and upset the political and social status quo. The Power reads as realism with a splash of science fiction, dissecting the idea that a society’s hierarchy dictated by gender may not be the best path forward for a fair and modern world. You won’t regret delving into this fast-paced, action-packed feminist story on a cool fall day. Recommended by J.P., Sackville. The royals are living the life of commoners on a bleak council estate where Charles enjoys puttering around the garden and Camilla spends as much time as possible doing nothing. But the public is unhappy with the current government and wish to bring back the Queen. She doesn’t want the post and Charles refuses to follow his destiny unless Camilla can be Queen. Slip in the dogs’ opinions of the council, a battle for the throne between Prince William and the secret love child of Charles and Camilla, and you have a right royal mix-up. This is Townsend at her very best. Recommended by R.T., Alderney Gate. With the wedding of his ex-girlfriend looming in the very near distance, Drew Nichols is planning to attend without a plus-one. That is until a perfect fake girlfriend walks into his life. This feel-good romance is the perfect addition to your fall reads list. With an adorable meet-cute and the best romance tropes (without being cliche), The Wedding Date will have you glued to the page. If chemistry, interesting characters, and a happily-ever-after is what you're looking for, you'll be absolutely delighted. Recommended by E.O., Captain William Spry.